All praises are meant for Allah the Lord of Worlds, We are fortunate to have Ramadan the blessed month of mercy and forgiveness back in our lives once again. This month excels all other months regarding sublimity and nobility. It’s sublime because it is the month of Allah, and it’s noble because it revives our souls as rainwater revives the parched and barren earth. Our souls, due to excess of sins and negligence of Allah’s remembrance, become unresponsive to the remembrance of Allah and words of guidance. Ramadan, the august month of mercy and forgiveness, brings back life in our souls with fasting, prayers, reading of holy Quran, abstinence from sins, and increased remembrance of Allah. As each moment of this glorious month is vitally important, we should make all our efforts to receive maximum benefit from this blessed month. Here we present a guide on the month of Ramadan. This guide helps us in performing important acts of worship during this noble month and also provides links to relevant, useful knowledge on the month of Ramadan from different aspects. Before presenting recommended daily duas and special acts of worship in the blessed month we’ll share some books and articles links on the concept, philosophy, necessity of fasting, and the Islamic laws which govern the practices of fasting. The Right of Fasting chapter in the book entitled A Divine Perspective on Rights discusses the Imam Ali ibn Husain(AS)’s discourse on fasting. The books give a very excellent explanation of the Imam(AS)’s advice on the fasting. It’s short must read for anyone who wants to have a deeper understanding of the fasting. Laws and Practices: What is the Fast of the Month of Ramadan is a brief text on the significance of fasting in the month of Ramadan. 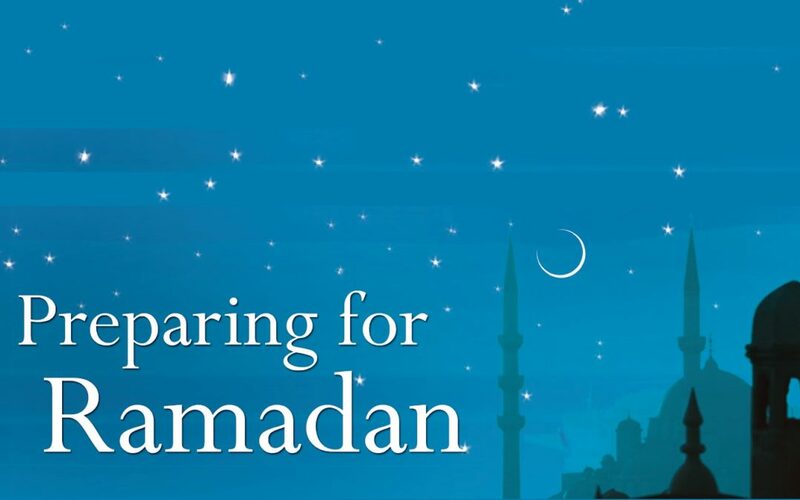 In The Merits of Fasting and the Month of Ramadan the author, Mohammad Ali Shomali, fasting, elaborates on the concept of divine banquet and refers to some of the bounties of Allah SWT in the month of Ramadan and for those who fast. Understanding the practical laws for fasting according to our followed Marjah is very important. The following is a chapter on Fasting (Part I of II) according to the Risalah of Ayatullah Ali al-Husayni Al-Sistani. It’s important for us to read the laws regarding the fasting so that our fasting is free from the defects of sins and ignorance. Ramadan: The Spring of Souls is Here The short discusses that how the blessed month revives our souls. Ramadan: A Social Equalizer presents empathy we should have towards other human beings. The holy month of Ramadan has countless blessings in it. One of the blessings of this holy month is compassion towards the other fellow humans. Our emotions and feelings of sympathy are directly related to our actual experiences. We cannot feel the gnawing, agony, and suffering of a sick person until we have undergone the same ailment. When we suffer a pain of sickness, we better understand and feel empathy of the other suffering ones. This one is especially for kids and young people for enhancing their knowledge on the month of Ramadan. So share Understanding the Month of Glory Lessons on the Month of Ramadhan with children and youth in your family and friends. The Supplications for the Month of Ramadhan is a useful resource for accessing the Arabic text, English translations, and audio recordings of supplications recited in Ramadhan, including Du’a Iftitah, the A’amal of Laylatul Qadr, and sermon of the Prophet (s) welcoming the month of Ramadhan (Ramadan). May Allah the Lord of mercy and grace accept our acts of worship and supplications performed in this blessed month and inspire us with goodness, and keep us away from evil, and fortify our faith, and make our feet steadfast on His path, and bestow on us the success of Here and Hereafter! We request you to remember Ahul Bayt Digital Islamic Library Project Team in your prayers in the solitary moments of the dark night when you stand to pray to Your Lord! Jazakallah khir, May Allah reward you all..
Ramadhan Mubarak. Thank you for your time and effort. I appreciate all the work that you do. May the peace and blesing of Allah be upon you all. Truly encyclopedic work about the subject. The reward is only with Allah for this endeavour. We pray to tap the maximum benefits from it so as to do the justice for the efforts invested by the team. No denial that fasting is a special act to attain ascension spiritually, however, I am sure there are many on physical / health front too. The opinions of physicians may add more value to this noble literature. Jazak Allah Khair, may Allah SWT reward you for your dedication and contribution! I am very grateful for your hard work and effort! May Allah SWT accept all our fasts and forgive us in this sacred month InshaAllah! Thank you for this very helpful article. May Allah protect you and accept our fasts this Holy month. Masha Allah, what and great post! Please spread this to as many people as possible. Ramadan-ul-Mubarak is a gift from Gracious Almighty Allah pleasant us with compensation of good deeds many times more than normal days. Mashallah, a very resourceful and informative article. Inshallah I will share it with friends on Facebook.